Creating 12 million jobs a year is a challenge for any government and Prime Minister Narendra Modi seems well aware of it. While critics continue to paint a pessimistic future the need of the hour is to focus on solutions and take action. Narendra Modi belongs to the school of thought which would rather take the problem head on. While the complete picture may not be visible to everyone but when one tries and put the small pieces of this very complex jigsaw puzzle together a pattern seems to emerge. Could this pattern be a sign of a new kind of work revolution that is set to unfold? This new movement will then thrive in an era where machines, digital technology and innovation won’t replace humans but will work with humans to enhance capabilities and create more work, wealth & wisdom. Narendra Modi belongs to the school of thought which would rather take the problem head on. Mr Modi has embraced & adopted digital technology like no other political leader. There is enough evidence of how he has put it to use for politics and policy. Whether it was the election campaigns or adoption of Aadhaar for a billion people. Even the push to demonetize resulted in a massive push of digital finance across the country. Such moves form the core or the operating system for this work revolution. This may also make it less difficult to meet the job creation challenge. Earlier this month Carnegie India organized a seminar on Use of Personal Data. It focused on benefits of letting users have control on their own digital data. Nandan Nilekani made the point that India will become a data rich nation before it becomes an economically rich nation unlike the west where the latter took place before. Could this be the starting point of a new work revolution? Could this open up a whole new world of how job creation should be addressed? Let us look at some possibilities. First, given the way technology is progressing very soon this could lead to an addition of millions of certified and accredited pool of skilled labour & service providers. A billion people digitally mapped in some form and shape where they can deploy their skills or abilities to whoever is seeking via multiple apps and platforms is an important step to beat the conventional ways of getting a job. This trend already known as the gig economy is on the rise. A study shows that by 2020, forty percent of American workers would be independent contractors. These are workers who don’t need to go to an office and can deliver their services online. A data rich India with a billion digital footprints on a daily basis makes this a real possibility. This must be the way forward amidst the data explosion. This is something our present employment numbers don’t capture. The Prime Minister’s comments on creating more entrepreneurs & employers than just employees is right on target. If you are willing to go by a crowdsourced recommendation of a restaurant to try its food out, you should not have a problem to seek services of a freelance professional who has high ratings in a particular field. In some ways, this is the new digital employment exchange where the job seeker & job giver are finding each other instantly & creating more work and wealth. This work revolution is based on discovery and demand supply matchmaking of skilled workers. 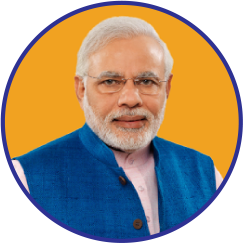 Mr Modi has already sown the seeds of this through his digital initiatives of a new future. Second, GST will be a game changer & have a cascading effect. A new pool of independent workers & service providers who were not included in the job count earlier can now be identified using the GST network. It allows the possibility of a real time dashboard of economic activity across India. And when you combine it with other moves such as digital finance, mapping of Aadhar with Pan Card and property records linked to with Aadhar, this creates an integrated digital economic activity map which can track changes in real time. This data of economic activity linked to a common platform also gives a more realistic measure of what kind of jobs are in demand. It also opens a world of opportunities for a ‘real world real time’ marketplace based on trends of job data. We now need to make this information available for innovators to identify the trends & related opportunities. GST will be a game changer & have a cascading effect. A new pool of independent workers & service providers who were not included in the job count earlier can now be identified using the GST network. This also redefines the G2B or the government to business relationship. Nothing stops the government from throwing open some of its tasks to the private sector through challenges like DARPA challenge model in the US. Solutions to some of the major problems can come through the private sector just like post demonetization the fin-tech sector did. All this is possible in a data rich India. Third, MIT professor Erik Brynjolfsson in his new co-authored book Machine, Platform, Crowd says there are three major shifts taking place in the business world. A move from man to machine, products to platform and core to the crowd. This throws up multiple possibilities of job creation. While routine and non-complex jobs can be taken over by machines more human interfacing jobs is where India’s strength and potential lies. Such examples include cooking, carpenters, nursing, training, teaching and even trained drivers. Similarly better methods of teaching using tech platforms will mean more educated workforce with better technical skills. This can cater to the new jobs that will open up in wave of technological change. Facebook is already hiring local language speaking people to filter abusive social media content. Others could be a machine tutor to teach machines the skill of vision and identifying specific objects by tagging and inputting a large corpus of images. Machine linguists will utilize their linguistic skills to teach machines languages. People with strong mathematics backgrounds and statisticians who deal with large amounts of data will find a new niche as modelers who will build predictive models around various business processes. When you combine a pool of skilled professionals with the digital eco-system a whole new world opens up. Instead of fearing about job losses due to automation we need to focus on combining the power of machines & humans to create new & better ideas. It is also important to map out the challenges which can prevent us from letting the new work revolution play out. First, our primary education programs are badly outdated to embrace the digital age. While the Atal Innovation mission and under it the Atal Tinkering labs are a good initiative its pace needs to be accelerated. A goal of 1 million children as innovators is ambitious but it is time to scale this up further. If you step outside Delhi, you will see the buzz that now has so many entrepreneurs working on the next big idea. They have the hunger & potential to be job creators. Second, this can be addressed at a higher education level as well. Can we get the thousands of government funded science and research laboratories to open up to admitting students & teach science & technology programs geared towards the future? Building new institutes & colleges is a long gestation project, we have massive space in existing institutes to unleash a new era of teaching science and mathematics. Lastly, the Prime Minister needs to invoke a spirit amongst those with risk capital to invest in the Indian start up eco-system. We have seen significant funding of Indian start-ups comes from overseas investors but for some reason Indian capital is still missing. The mindset is to wait till a business is successful and then deploy capital, that isn’t the best way to embrace the digital age. Those who have made it big in the industrial age must now want to usher in the next big wave. This will also help to kick start the new work revolution. To that effect it may help to deploy more political energies where the potential of this work revolution exists. If you step outside Delhi, you will see the buzz that now has so many entrepreneurs working on the next big idea. They have the hunger & potential to be job creators. For them the Prime Minister has shown the way with his digital adoption strategy and putting some of the pieces of the puzzle in place. It is now time to help him to unleash the work revolution in the digital age. That would be the true realization of a New India.